With US on the brink of another war, and its economy still reeling under the economic meltdown of 2008, the question on every investor’s mind in the US is where to head to for their business expansion and relocation plans. Well, if one believes this to be the Asian century, and there is no reason to think otherwise, an ideal choice is to incorporate a Singapore company. 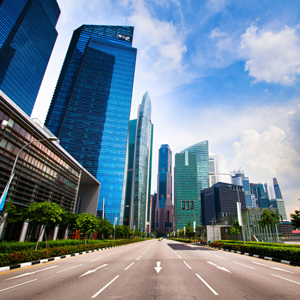 World Bank’s Ease of Doing Business reports year-after-year rank Singapore as the best country due to its hassle-free business set-up processes. The corporate tax rate is also just 17 percent, which is the third lowest in the world. The effective tax payable come out to be much lower if companies take advantage of the numerous government schemes, subsidies and incentives. As the country is home to 123 commercial banks, 154 fund managers and 291 capital markets services license holders, it enables entrepreneurs to raise funds at rates as low as 1 percent per annum. Excellent connectivity, strategic location with proximity to world’s largest emerging markets, strong legal system and best quality of life in Asia, are other advantages. The World Economic Forum’s Global Competitiveness Report (GCR) 2014–15 recently ranked Singapore as the second most competitive economy in the world, which offers the best Intellectual Property protection, infrastructure and incentives in Asia. If the above is not convincing enough, the US Department of Commerce’s International Trade Administration (ITA) via its portal Export.gov – a collaborative effort of 19 different US Government agencies offering export assistance programmes and services to American companies, provides a list of “best prospects sectors” for US exports in Singapore. It includes electronics, telecommunication equipment, computer hardware and software, aircraft parts, medical devices, laboratory and scientific instruments, electric power systems, construction and building products, pumps and valves, university education services and franchising. Although Singapore is just a city-state, it was the US’ 13th largest export market and 17th largest trading partner in 2013. In the last ten years, after the US-Singapore Free Trade Agreement (FTA) came into effect on January 1, 2014, the two-way trade between the two countries has increased by 53 percent. Meanwhile, US exports to Singapore have nearly doubled (85 percent) in the same time period. Singapore is also a very important participant in the US-sponsored on-going Trans-Pacific Partnership (TPP) negotiations, which is a proposed regional “comprehensive and high-standard” free trade agreement (FTA) currently under negotiation between 12 countries in three continents. A departure from a standard FTA, including the one between US and Singapore, TPP’s additional focus is on cross-cutting “horizontal issues” such as regulatory coherence, competitiveness and business facilitation, development and Small and Medium Enterprises (SMEs). When concluded, TPP will represent nearly 40% of the global economy and one-third of world trade. According to ITA, Singapore is “one of the best markets in Asia for US companies hoping to expand their market penetration through Asia”. “With a US style of business, a small and easy to navigate market, an English-speaking society, and virtually no corruption, Singapore is a great regional trading hub,” it says. US Ambassador to Singapore Kirk Wagar in his first policy speech at the Singapore Press Club earlier this year emphasized on making “a strong relationship between US-Singapore, even stronger”. Thus, for those US investors who are thinking of relocating to Singapore, there are immense procurement and business opportunities from among the “best prospects” list of ITA. These include major infrastructure projects such as the US$280 million blueprint for clean energy sector, revamping and building new terminals at the world-class Changi International Airport, US$ 944 million Singapore Government IT tenders, US$500 million second LNG terminal in Jurong Island of Singapore, and US$150 million project for constructing floating storage facilities for petroleum products. In the healthcare sector, a new 300-bed hospital for infectious diseases, a US$135 million new National Heart Centre, 25 public nursing homes, four acute medical care hospitals, 12 polyclinics, and up to US$406 million facilities up-gradation by private health providers, is also in the pipeline. With the West losing its shine as the world’s economic powerhouse, lots of foreign investors are moving towards Asia and Singapore in particular. “So much so that the Accounting and Corporate Regulatory Authority (ACRA) of Singapore registered a total of 20,365 new companies in the first half of 2014, as the year sets to improve on the 8.2% average annual growth rate of company formation witnessed here in the last few years,” added Lim. Now, it’s up to the investors in US to take advantage of the city-state’s growing business clout. Want to learn more on how to incorporate a Singapore company, please click here.